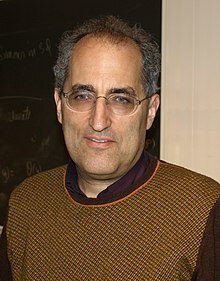 Edward Witten (born August 26, 1951) is an American theoretical physicist and professor at the Institute for Advanced Study, who is widely known as “the most brilliant physicist of his generation.” He is a leading researcher in string theory. In 1990, Witten won the Fields Medal, the most prestigious award in pure mathematics. It is very possible that a proper understanding of string theory will make the space-time continuum melt away.... String theory is a miracle through and through. Vibrating strings in 10 dimensions is just a weird fact... An explanation of that weird fact would tell you why there are 10 dimensions in the first place. I don't think that any physicist would have been clever enough to have invented string theory on purpose... Luckily, it was invented by accident. String theory is extremely attractive because gravity is forced upon us. All known consistent string theories include gravity, so while gravity is impossible in quantum field theory as we have known it, it is obligatory in string theory. Most people who haven't been trained in physics probably think of what physicists do as a question of incredibly complicated calculations, but that's not really the essence of it. The essence of it is that physics is about concepts, wanting to understand the concepts, the principles by which the world works. Quantum mechanics... developed through some rather messy, complicated processes stimulated by experiment. While it's a very rich and wonderful theory, it doesn't quite have the conceptual foundation of general relativity. Our problem in physics is that everything is based on these two different theories and when we put them together we get nonsense. In Newton's day the problem was to write something which was correct - he never had the problem of writing nonsense, but by the twentieth century we have a rich conceptual framework with relativity and quantum mechanics and so on. In this framework it's difficult to do things which are even internally coherent, much less correct. Actually, that's fortunate in the sense that it's one of the main tools we have in trying to make progress in physics. Physics has progressed to a domain where experiment is a little difficult... Nevertheless, the fact that we have a rich logical structure which constrains us a lot in terms of what is consistent, is one of the main reasons we are still able to make advances. String theory at its finest is, or should be, a new branch of geometry. ...I, myself, believe rather strongly that the proper setting for string theory will prove to be a suitable elaboration of the geometrical ideas upon which Einstein based general relativity. I think one has to regard it as a long term process. One has to remember that String theory, if you choose to date it from the Veneziano model, is already eighteen years old... that quantum electrodynamic theory towards which Planck was heading [in 1900], took fifty years to emerge. I would expect that a proper elucidation of what string theory really is all about would involve a revolution in our concepts of the basic laws of physics - similar in scope to any that occurred in the past. It's been said that string theory is part of the physics of the twenty-first century that fell by chance into the twentieth century. That's a remark that was made by a leading physicist about fifteen years ago. ...String theory was invented essentially by accident in a long series of events, starting with the Veneziano model... No one invented it on purpose, it was invented in a lucky accident. ...By rights, string theory shouldn't have been invented until our knowledge of some of the areas that are prerequisite... had developed to the point that it was possible for us to have the right concept of what it is all about. It was clear that if I didn't spend the rest of my life concentrating on string theory, I would simply be missing my life's calling. Even though it is, properly speaking, a postprediction, in the sense that the experiment was made before the theory, the fact that gravity is a consequence of string theory, to me, is one of the greatest theoretical insights ever. Good wrong ideas are extremely scarce... and good wrong ideas that even remotely rival the majesty of string theory have never been seen. Generally speaking, all the really great ideas of physics are really spin-offs of string theory... Some of them were discovered first, but I consider that a mere accident of the development on planet earth. On planet earth, they were discovered in this order [general relativity, quantum field theory, superstrings, and supersymmetry]... But I don't believe, if there are many civilizations in the universe, that those four ideas were discovered in that order in each civilization. If supersymmetry plays the role in physics that we suspect it does, then it is very likely to be discovered by the next generation of particle accelerators, either at Fermilab... or at CERN... Discovery of supersymmetry would be one of the real milestones in physics, made even more exciting by its close links to still more ambitious theoretical ideas. Indeed, supersymmetry is one of the basic requirements of "string theory," which is the framework in which theoretical physicists have had some success in unifying gravity with the rest of the elementary particle forces. Discovery of supersymmetry would would certainly give string theory an enormous boost. Just around the same time that the string picture was formed, asymptotic freedom was discovered and made possible, in QCD, a more precise and successful theory of the strong interactions. Yet there has always been a striking analogy between QCD and string theory. If the hypothesis of quark confinement in QCD is true in its usual form, than a widely separated quark and antiquark are joined by a “color flux tube.” This has an obvious analogy to the notion of a meson as a string with charges at its ends, as assumed in string theory. Explaining this analogy would mean understanding quark confinement. This would be quite a nice achievement, since it is a longstanding sore point in theoretical physics that despite real experiments and computer simulations supporting the quark confinement hypothesis and despite a lot of ingenious work explaining qualitative criteria for quark confinement and why this notion is natural, there is no convincing, pencil and paper demonstration of quark confinement in QCD. Edward Witten (October, 2001). Why strings?. Even before string theory, especially as physics developed in the 20th century, it turned out that the equations that really work in describing nature with the most generality and the greatest simplicity are very elegant and subtle. in a NOVA interview Viewpoints on String Theory, Edward Witten, July 2003. It was found [in the 1970s], unexpectedly and without anyone really having a concept for it, that the rules of perturbation theory can be changed in a way that makes relativistic quantum gravity inevitable rather than impossible. The change is made by replacing point particles by strings. Then Feynman graphs are replaced by Riemann surfaces, which are smooth - unlike the graphs, which have singularities at interaction vertices. The Riemann surfaces can degenerate to graphs in many different ways. In field theory, the interactions occur at the vertices of a Feynman graph. By contrast, in string theory, the interaction is encoded globally, in the topology of a Riemann surface, any small piece of which is like any other. This is reminiscent of how non-linearities are encoded globally in twistor theory. Replacing particles by strings is a naive-sounding step, from which many other things follow. In fact, replacing Feynman graphs by Riemann surfaces has numerous consequences: 1. It eliminates the infinities from the theory. ...2. It greatly reduces the number of possible theories. ...3. It gives the first hint that string theory will change our notions of spacetime. Just as in QCD, so also in gravity, many of the interesting questions cannot be answered in perturbation theory. In string theory, to understand the nature of the Big Bang, or the quantum fate of a black hole, or the nature of the vacuum state that determines the properties of the elementary particles, requires information beyond perturbation theory... Perturbation theory is not everything. It is just the way the [string] theory was discovered. For example, Ed Witten recently derived a formula for Donaldson invariants on Kähler manifolds using a twisted version of supersymmetric Yang-Mills theory in four dimensions. His argument depends on the existence of a mass gap, cluster decomposition, spontaneous symmetry breaking, asymptotic freedom, and gluino condensation. Daniel S. Freed; Karen K. Uhlenbeck (1995). Geometry and Quantum Field Theory. American Mathematical Society. p. 2. ISBN 978-0-8218-8683-0. In the spring of 1985 Ed Witten, one of the most brilliant of young physicists at Princeton University, announced that he would give a talk. ...it was clear that this talk would be an extraordinary occasion. ...our seminar room was packed with people, some old and famous, some young, all eager with expectations. Witten spoke very fast for an hour and a half without stopping. It was a dazzling display of virtuosity. It was also, as Witten remarked quietly at the end, a new theory of the universe. ...When Witten came to the end... The listeners sat silent. ...There were no questions. Not one of us was brave enough to stand up and reveal the depths of our ignorance. ...I describe this scene because it gives a picture of what it means to explore the universe at the highest level of abstraction. Ed Witten is taking a big chance. He has moved so far into abstraction that few even of his friends know what he is talking about. ...He did not invent superstrings. ...Ed Witten's role is to build superstrings into a mathematical structure which reflects to an impressive extent the observed structure of particles and fields in the universe. After they heard him speak, many members of his audience went back to their desks and did the homework they should have done before, reading his papers and learning his language. The next time he talks, we shall understand him better. Next time, we shall perhaps be brave enough to ask questions. Witten's excitement arose from the fact that the theory passed several crucial tests which other theories had failed. To have found a theory of the universe which is not mathematically self-contradictory is already a considerable achievement. In CERN as it is in the US. As we forgive those who do phenomenology. And deliver us from tests. Adam Falkowski, "CERN TH 2007"
Enter superstring theory. The concept that particles are really tiny strings dates from the 1960s, but it took on wings in 1974, when John Schwarz... and Joel Scherk... came to terms with what had been an ugly blemish in their calculations. String theory kept predicting the existence of a particle with zero mass and a spin of two. Schwarz and Scherk realized that this unwelcome particle was nothing other than the graviton, the quantum carrier of gravitational force (Although there is no quantum theory of gravity yet, it is possible to specify some of the characteristics of the quantum particle thought to convey it.) This was liberating: The calculations were saying not only that string theory might be the way to a fully unified account of all particles and forces but that one could not write a string theory without incorporating gravity. Ed Witten... recalled that this new constituted "the greatest intellectual thrill of my life." In the high carrels of theoretical physics, where intelligence is taken for granted, Witten is regarded as preternaturally, almost forbiddingly, smart. ...he wears the habitual small smile of the theoretician for whom sustained mathematical thinking has something like the emotional qualities that mystics associate with meditation. He speaks in a soft, high-pitched voice, floating short, precise sentences punctuated by witty little silences—the speech pattern of a man who has learned that he thinks too fast to otherwise be understood. Though he is the son of a theoretical physicist, he came to science in a roundabout fashion. Might be something more than a string orbifold. The Book is not finished, the last word is not Witten. A crucial observation, central to the second superstring revolution initiated by Witten and others in 1995, is that string theory actually includes ingredients with a variety of different dimensions: two-dimensional Frisbee-like constituents, three-dimensional blob-like constituents, and even more exotic possibilities to boot. In the mid-1990s, Witten, based on his own insights and previous work by Michael Duff... and Chris Hull and Paul Townsend... gave convincing evidence that... String theory... to most string theorists' amazement, actually requires ten space dimensions and one time dimension, for a total of eleven dimensions. Edward Witten is fond of declaring that string theory had already made a dramatic and experimentally confirmed prediction: "String theory had the remarkable property of predicting gravity." What Witten means by this is that both Newton and Einstein developed theories of gravity because their observations of the world clearly showed them that gravity exists, and that, therefore, it required an accurate and consistent explanation. On the contrary, a physicist studying string theory—even if he or she was completely unaware of general relativity—would be inexorably led to it by the string framework. Work by Strominger and Witten showed that the masses of the particles in each family depend upon... the way in which the boundaries of the various multidimensional holes in the Calabi-Yau shape intersect and overlap with one another. ...as strings vibrate through the extra curled-up dimensions, the precise arrangement of the various holes and the way in which the Calabi-Yau shape folds around them has a direct impact on the possible resonant patterns of vibration. ...as with the number of families, string theory can provide us with a framework for answering questions—such as why the electron and other particles have the masses they do—on which previous theories are completely silent. ...carrying through with such calculations requires that we know which Calabi-Yau space to take for the extra dimensions. In the spring of 1995... Drawing on the work of a number of string theorists (including Chris Hull, Paul Townsend, Ashoke Sen, Michael Duff, John Schwarz and many others), Edward Witten—who for decades has been the world's most renowned string theorist—uncovered a hidden unity that tied all five string theories together. Witten showed that rather than being distinct, the five theories are actually just five different ways of mathematically analyzing a single theory. ...The unifying master theory has tentatively been called M-theory. Much as Kaluza found that a universe with five spacetime dimensions provided a framework for unifying electromagnetism and gravity, and much as string theorists found that a universe with ten spacetime dimensions provided a framework for unifying quantum mechanics and general relativity, Witten found that a universe with eleven spacetime dimensions provided a framework for unifying all string theories. Between sessions at a physics conference, I asked a number of attendees: Who is the smartest physicist of them all? ...the name mentioned most often was Witten's. He seemed to evoke a special kind of awe, as though he belonged to a category unto himself. He is often likened to Einstein; one colleague reached even further back for a comparison, suggesting that Witten possessed the greatest mathematical mind since Newton. Edward Witten... dominates the world of theoretical physics. Witten is currently the "leader of the pack," the most brilliant high-energy physicist, who sets trends in the physics community the way Picasso would set trends in the art world. Hundreds of physicists follow his work religiously to get a glimmer of his path-breaking ideas. The boundaries of physics have been changing. Now scientists ask not only how the world works (a question the Standard Model answers) but why it works that way (a question the Standard Model cannot answer). Einstein asked "why" earlier in the century, but only in the past decade or so have the "why" questions become normal scientific research in particle physics, rather than philosophical afterthoughts. One ambitious approach to "why" is known as string theory, which is formulated in an eleven-dimensional world. Work on string theory has proceeded so far by study of the theory itself, rather than via the historical fruitful interplay of experiment and theory. As Edward Witten remarks... string theory predicts that nature should be supersymmetric. Supersymmetry is a surprising and subtle idea—the idea that the equations representing basic laws of nature don't change if certain particles in the equations are interchanged with one another. He never does calculations except in his mind. I will fill pages with calculations before I understand what I'm doing. But Edward will sit down only to calculate a minus sign, or a factor of two. The positive energy theorem was for half a century or more an open challenge to relativists. Many attempts were made to prove flat spacetime was stable, but none completely succeeded completely until a majestic tour de force of geometric reasoning of Shoen and Yau. This was followed two years later by a proof of Witten, which was as elegant as it was short. It is this proof of Witten’s that we take as a template... for the quantum theory. We shouldn't toss comparisons to Einstein around too frequently, but when it comes to Witten... He's head and shoulder above the rest. He's started whole groups of people on new paths. He produces elegant, breathtaking proofs which people gasp at, which leave them in awe. My stay was nearly over when one day Ed Witten said to me, "I just learnt a new way to find exact S-matrices in two dimensions invented by Zamolodchikov and I want to extend the ideas to supersymmetric models. You are the S-matrix expert, aren't you? Why don't we work together?" I was delighted. All my years of training in Berkeley gave me a tremendous advantage over Ed—for an entire week. Ramamurti Shankar, John Randolph Huffman Professor of Physics at Yale. Conceptual Foundations of Quantum Field Theory (1999), p. 48. This page was last edited on 21 February 2018, at 14:29.